Right now, I’m sitting in a cozy chair in the Sky Lounge of the Celebrity Solstice cruise ship sailing through the Alaskan fjords. I snuck away to this spot for some quiet time to sit and admire the view. This scenery is some of the prettiest I’ve ever seen – breathtaking glaciers, towering cliffs, icebergs and waterfalls and trees. It’s nothing short of awesome. How peaceful this is. And majestic and surreal and all of those big adjectives that typically describe the things I am seeing. I wish I had the DSLR camera with me to capture this light. I left it in the stateroom, which is a complete mess. I wonder if housekeeping has come by yet. That reminds me – I need to stop by the convenience store for some toothpaste. And confirm babysitting for this evening. I hope Isabel doesn’t go into a crying fit the minute the babysitter arrives. My thoughts jump from one thing to the next, each one growing in intensity, and all of a sudden I am anxious and annoyed. All I want is to sit quietly and appreciate the view, but I can’t make the noise in my head stop. So I do the only logical thing. I pull out my computer. 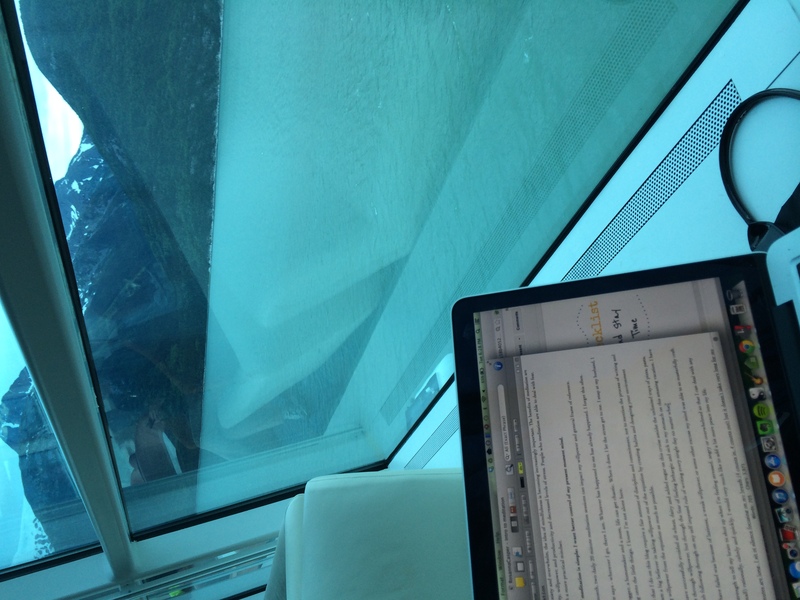 And here I am now in this stunning sky lounge staring at my computer screen instead of the fjords. Most of us do not do a good job staying present. We dwell on the past and worry about the future. We have things to do, places to go, people take care of, errands to run, meals to prepare and jobs to perform. We forget about right now. 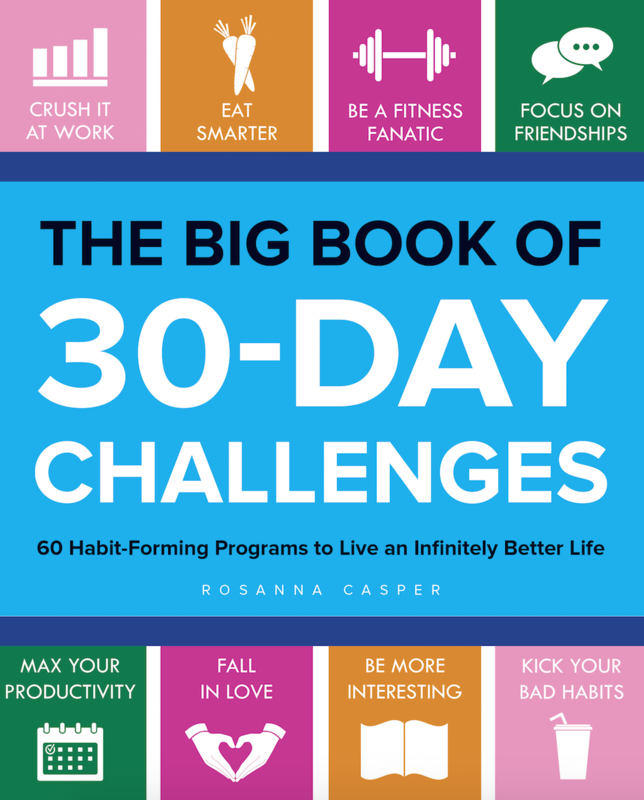 That’s why, in our hyper connected world of instant gratification, stress, and overwhelm, the idea of mindfulness is becoming an increasingly popular topic. The benefits, specifically of meditation, are significant: improved creativity, willpower, and productivity and decreased levels of stress. People who meditate are able to deal with problems with a more practical mindset. Thus begins my new monthly challenge: Meditation. The task at hand is simple: meditate twice a day for 20 minutes at a time. I could certainly some help in that department. As a blogger, homemaker and a mom with perfectionist tendencies, life can get chaotic. There are frequent moments when I let the stress get to me. I snap at my husband, I’m short with my kids. I let silly things bother me. On top of that, the monthly experiments that I do on this blog require a fair amount of discipline and commitment, not to mention the process of writing and promoting the work itself. The times I fail – fail to write, to work, to eat well, to work out – are because I get lazy. My mind makes up awesome excuses to not do what I should be doing. Wouldn’t it be amazing to be able to tell our brains to stay strong? To get up early to go work out? To let those little annoyances go? Or stay calm even when things get crazy? I don’t know that meditation is the solution to these challenges. I don’t know how long it will take to see progress. All I know is that this experiment will be a tough exercise in mental discipline. I’m certain I will struggle. One day in, those 20 minutes are insufferably long. I sit in silence with my legs crossed, my mind wandering and thoughts jumping. I make great effort to focus on my breath (4 counts in, 4 counts out), reminding myself that, like any muscle in our bodies, the brain can be trained to behave however we want it to. I just have to give it some regular exercise.